UCHealth is pleased to announce the appointment of Dan Rieber as chief financial officer for UCHealth, effective immediately. Rieber has been serving as the 9-hospital system’s interim CFO since Fall 2017. 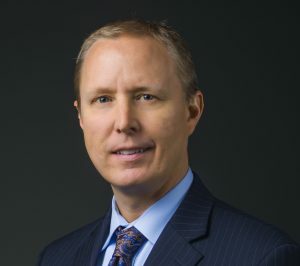 Rieber, 47, transitions into the position with deep experience in health care finance including his tenure as CFO of UCHealth Memorial Hospital. His background also includes positions at other community and academic health care systems. In addition to overseeing finances for the $3.5 billion organization, Rieber will work closely with UCHealth’s leadership and innovation teams to help design the future of health care. Already, many of UCHealth’s innovation initiatives are being used to help make care easier for patients and to improve the overall efficiency, quality and safety of medical care. Rieber earned a Masters of Business Administration from Regis University, a Bachelors of Business Administration from Iowa State University, and he is a certified public accountant. As a nonprofit health system, UCHealth is dedicated to the communities it serves. In fiscal year 2017, UCHealth provided $647 million in total community benefits including $259 million in uncompensated care.